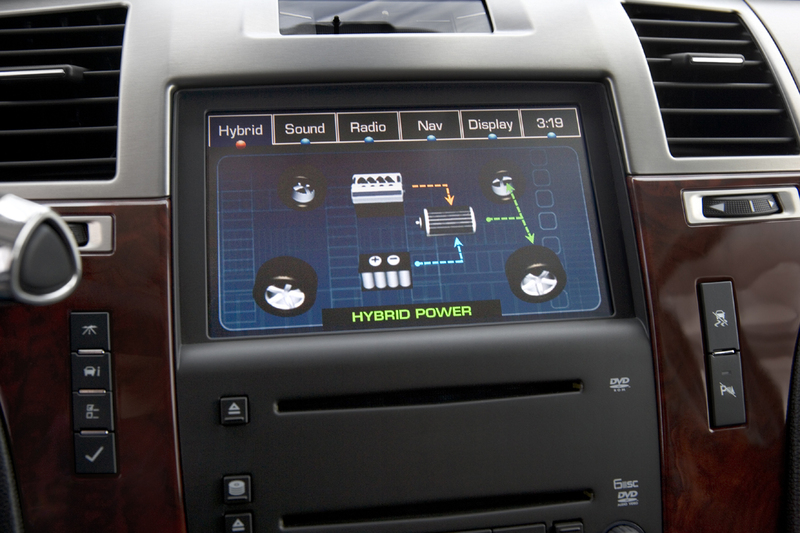 The Hybrid goes on sale in the US in the summer of 2008 and is the newest example of Escalade’s technology leadership. The potential for sales of the Hybrid in Europe are currently being evaluated with a decision expected within six months. 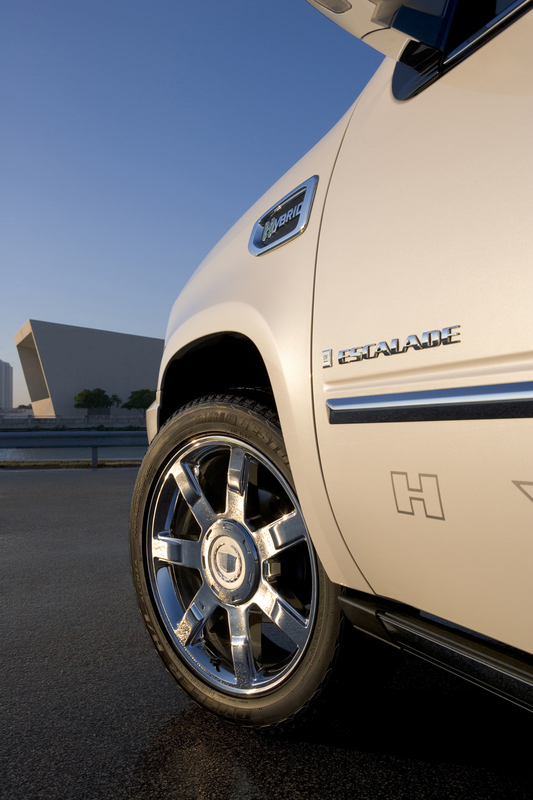 Escalade Hybrid is available in 2WD and 4WD configurations. It delivers up to 6,000 pounds (2,722 kg) of usable towing capacity on 2WD models and 5,700 pounds (2,565 kg) on 4WD models. 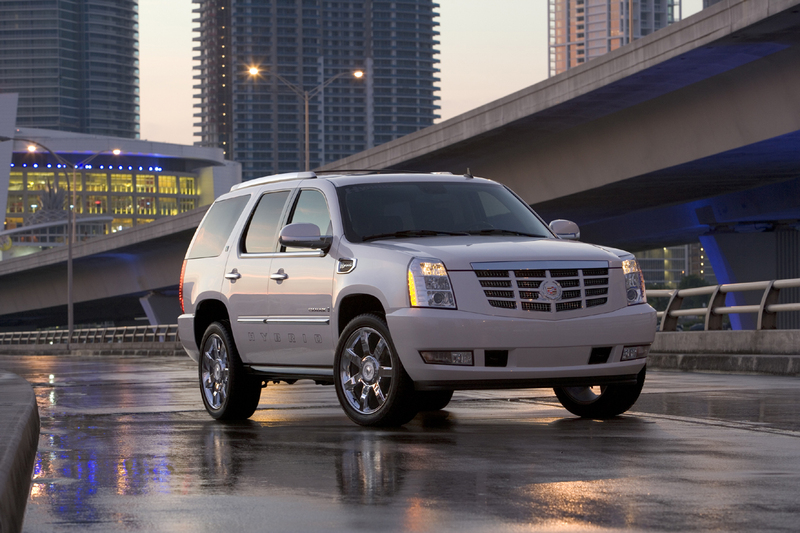 All of Escalade’s standard comfort and convenience features are included. This includes an eight-inch, touch-screen navigation system that displays performance readouts of the 2-Mode Hybrid system on the screen. 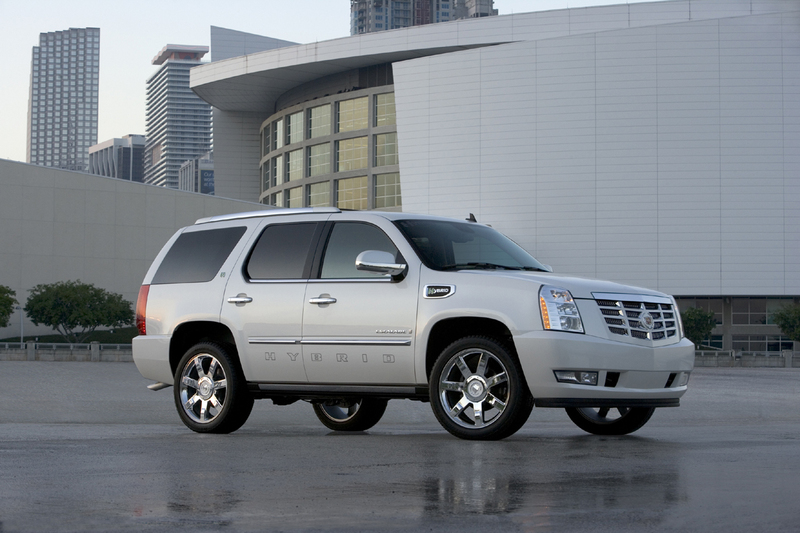 Escalade Hybrid extends Cadillac’s leadership in the large luxury SUV category. 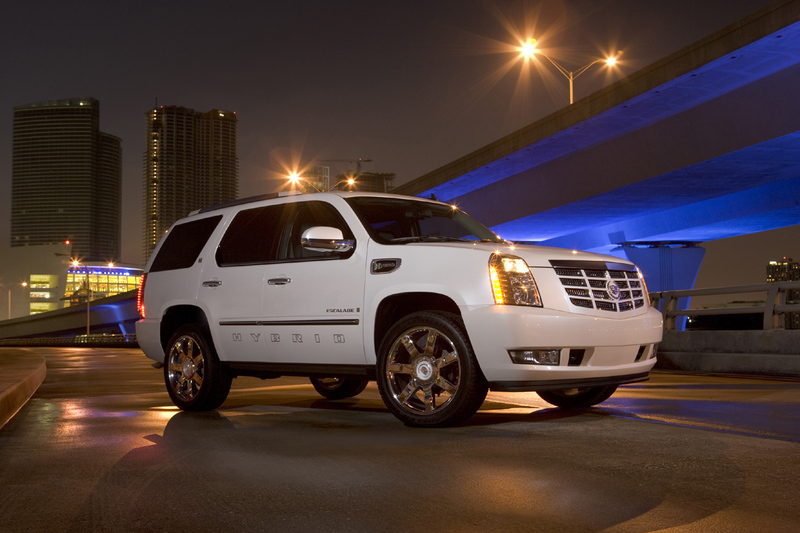 Escalade sales have grown in the face of changing sales trends and increased competition. 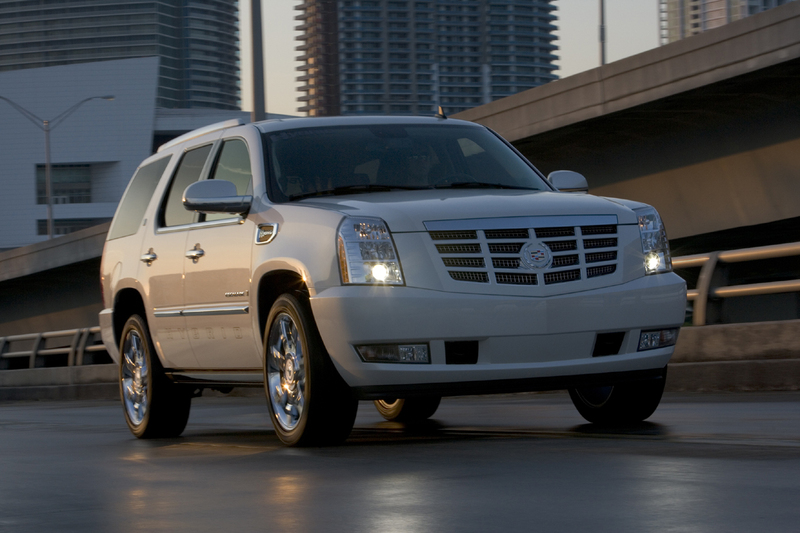 In fact, Escalade sales increased 22 percent in September over year-ago sales. 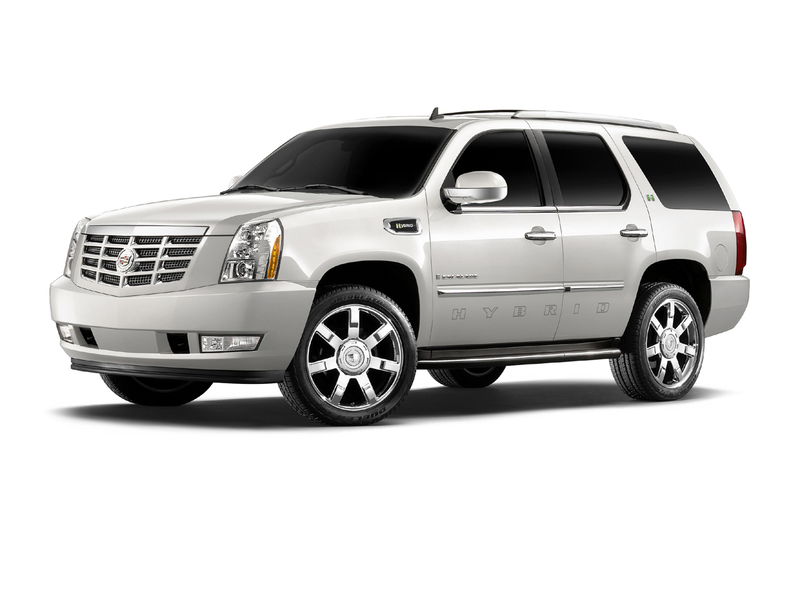 Other models in the Escalade lineup include the extended-length Escalade ESV and the versatile Escalade EXT luxury-utility truck. 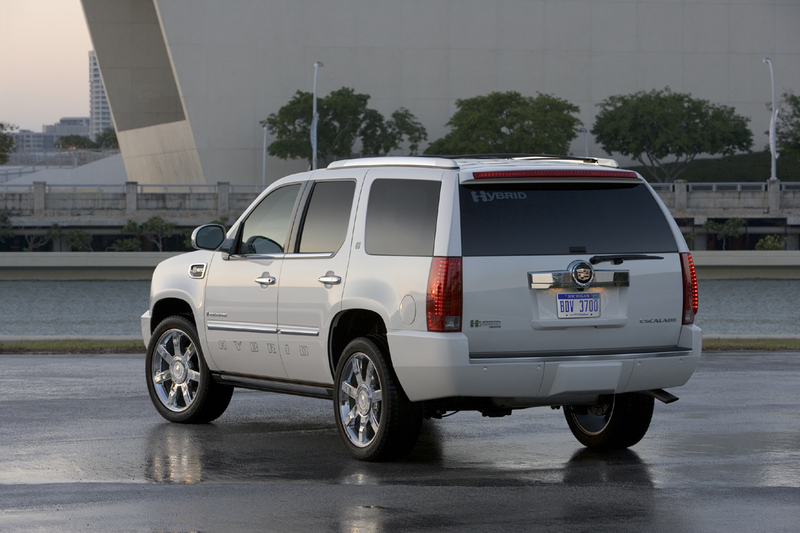 The Hybrid model is available with the standard Escalade body style. The Escalade’s 2-Mode Hybrid system allows it to return exceptional fuel economy in both city and highway while delivering the capabilities of a true luxury SUV. 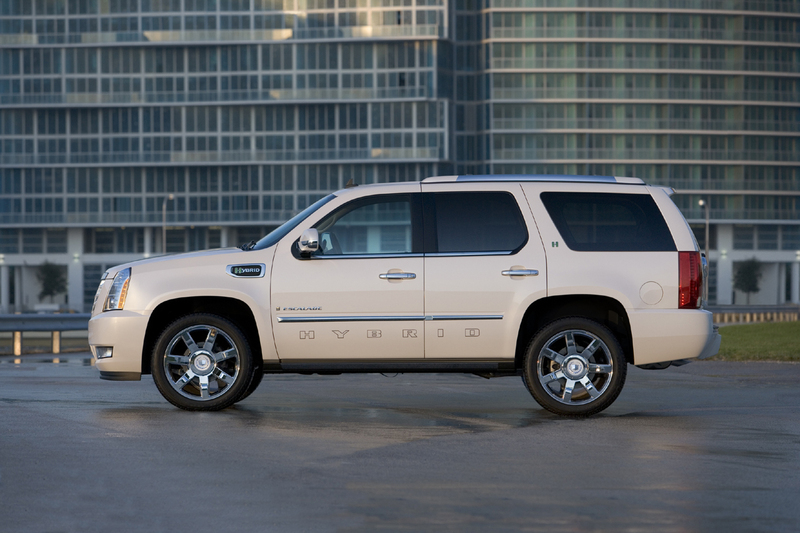 In city driving, this advanced hybrid power system enables Escalade to launch and drive low speeds on electricity alone. As additional power is demanded, the system blends output from the battery and gas engine smoothly. GM’s patented 2-Mode Hybrid system consists of an advanced electrically variable transmission (EVT) and 300-volt nickel-metal hydride Energy Storage System (ESS). These systems work in concert with the standard 6.0L V-8 Gen IV gasoline engine with Active Fuel Management (AFM) and late-intake valve closing (LIVC) technology. AFM enables the V-8 engine to seamlessly shut off half of its cylinders when less power is needed, such as during highway cruising. This new hybrid system not only enables the Escalade Hybrid to drive low speeds on electricity alone, it also allows the 6.0L V-8 engine to operate in its more economical four-cylinder mode for longer periods. The key to Escalade’s 2-Mode hybrid system is that the electric power used to propel the vehicle is generated by the hybrid system itself. When the brakes are applied or the vehicle is coasting, the electric motors within the hybrid system create electricity that is stored in the 300-volt battery. 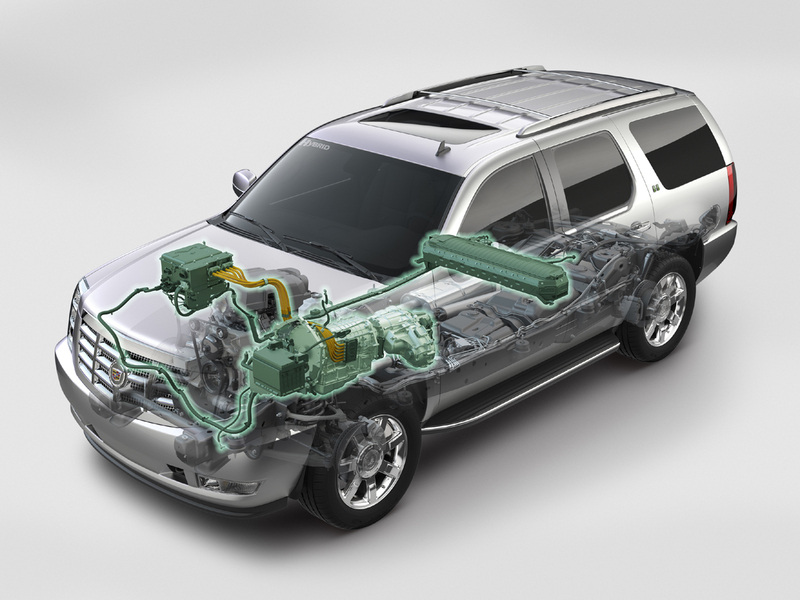 This stored energy is used to move the vehicle and the regenerative braking cycle is renewed. 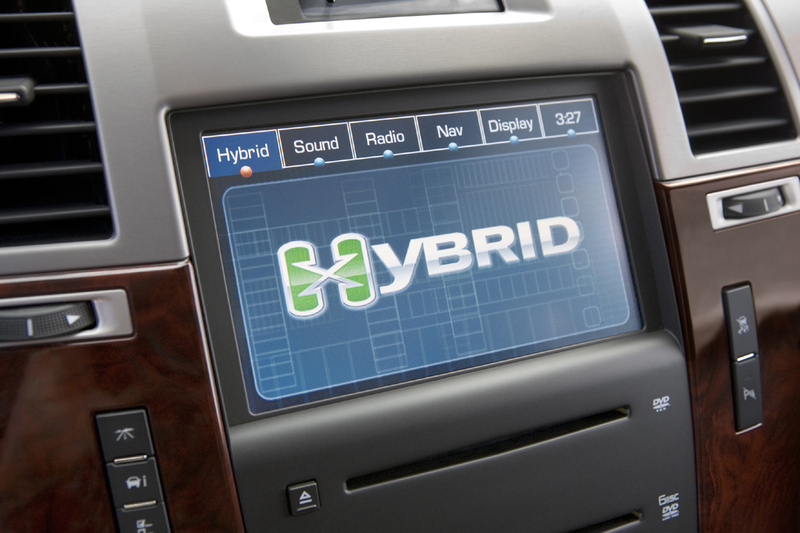 The 2-Mode Hybrid system provides seamless, dependable power on demand in an efficient package. In fact, its electric motor is less than half the size of those in single-mode hybrid systems. This technology was developed and is still used in fleets of hybrid transit buses on the streets today in dozens of major North American cities. 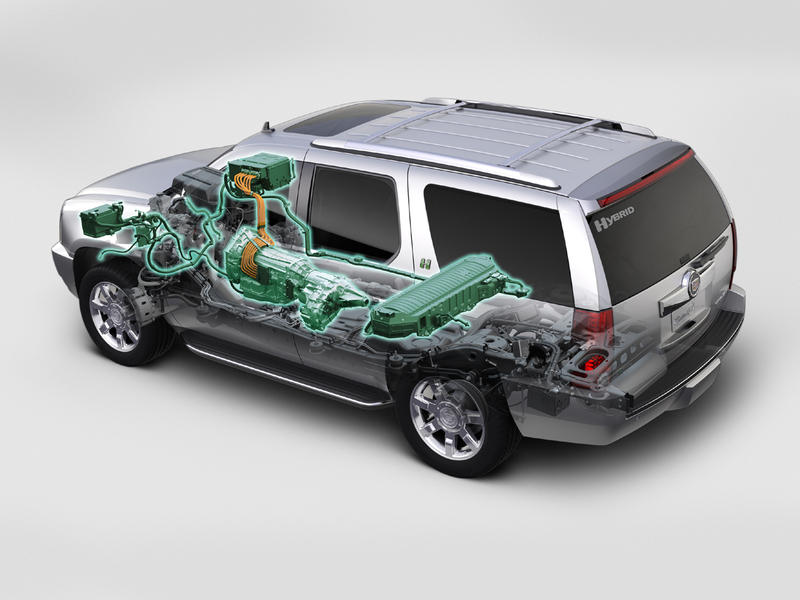 Scaled-down for use in full-size SUVs, the 2-Mode system delivers fuel savings where it is needed most – in large vehicles with high levels of capability. It is a core part of GM’s energy diversity efforts, which are centered on reducing dependence on petroleum, improving fuel economy, reducing emissions and minimizing the automobile’s impact on the environment. [*=left]The Energy Storage System cooling system’s internal fan is tuned to be quiet at low vehicle speeds, when the fan could more easily be heard by the occupants. 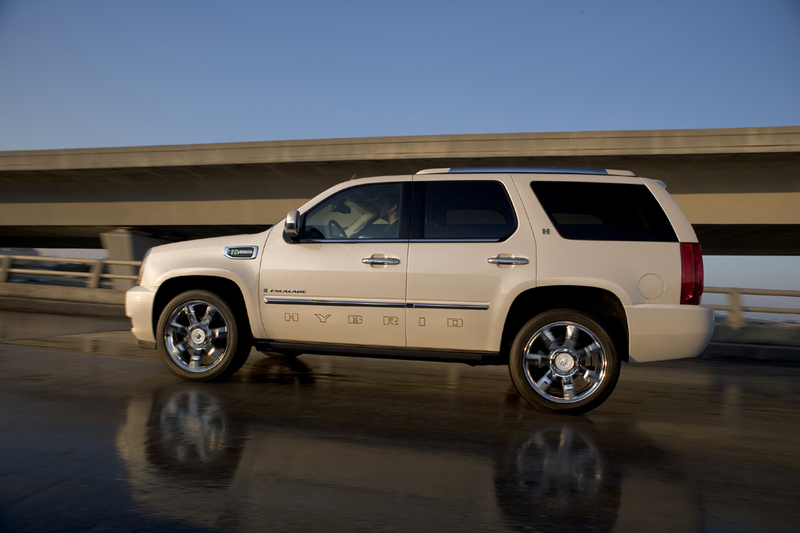 The Escalade Hybrid retains the qualities that have made it the leading large luxury SUV and a standard-bearer of Cadillac’s overall product renaissance. It is instantly identifiable as a Cadillac and incorporates styling cues from the landmark Sixteen concept vehicle, including a detailed signature grille, front fender vent ports and layers of chrome accents. The Escalade’s warm and inviting interior features a premium layout. It is available in two colors, Ebony and Cashmere. Standard features include a distinctive instrument panel; gauges with white needles and blue light inlays with continuously lit, white-LED backlighting; Nuance leather-covered seats; leather-covered door trim and center console; and a power-assisted rear liftgate that opens and closes with the touch of a button. sarebbe praticamente la Suburban x mamme abbienti x portare i pargoli (in USA figliano come conigli) alla partita di calcio, le pargole alla lezione di danza... con stile e opulenza!! Ragazzi come si chiama l'optional presente sullo sfondo vicino alla porta nella 3 fotografia ? Aggiornato e riconverito questo thread, passando dalla Escalade ESV alla Escalade in generale. Nel primo messaggio potrete trovar prezzie foto (della Hybrid in particolare). Per la gioia di rappers e papponi! Nessuna informazione rilasciata da Cadillac, solo che è il loro primo Crossover EV.